IMPORTANT ALERT: eBay Fraudulent Buyers! So I've had a horrible last 2 days with some dangerous eBay buyers who have a fraudulent system set up to prey upon people legitimately trying to sell stuff. It just happened to me TWICE in the last 3 days on the same item and I've spent hours on the phone with eBay and PayPal. 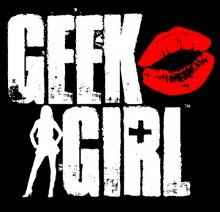 I think it is so so so important to educate everyone out there about what happened to me that I'm going to cross the boundaries of GeekGirl and tell you my very personal story of what happened to me a few years ago and also just this week because I think you ALL need to know about it if you engage in any e-commerce on even the smallest level. We need to help protect one another in an ever-growing cyber-world! While I'm working on this video I want to know if YOU have had any eBay or PayPal horror stories or phishing attempts-if you have and you feel comfortable sharing them, please email them to me at geek.girl@earthlink.net. I might be referencing YOUR story in the video! GeekGirl Co-Hosting The Baub Show TONIGHT! I haven't posted in a while, but it's for good reason! I have a VERY exciting announcement coming up but I can't say anything about it just yet, but trust me, it's GOOD!! However, tonight at 7 pm PST I'm again lucky enough to be co-hosting The Baub Show (an online radio show) with my dear friend Bob. The musical guest is Jaron from Evan & Jaron and it's bound to be a hoot. Plus, I'll be giving you a few tips on holiday gadget must-haves!